Artemisia Taurica (Russia) - Ultra International B.V.Ultra International B.V.
Artemisia Taurica is known as 'Common Mugwort' or 'Common Wormwood' and can be called 'St John's Plant' (not to be confused with the more common St John's Wort'). Part of the Asteraceae (Compositae) family its leaves grow 10 cm in length, with the plant usually reaching between 1 and 2 metres tall. 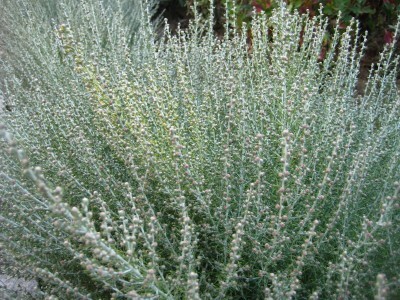 Artemisia grows across Northern and Central Europe, Asia and Africa. It usually grows in uncultivated areas, often in nitrogenous soils, therefore is wild harvested typically from some unforgiving places like the roadside. It is still used in aromatherapy despite it being classed as a toxin - dosages are very small and are said to be helpful as a digestive stimulant and to promote menstruation. It is also used to reduce the symptoms of depression and ease tension. As a flavouring the leaves are used for its strong bitter taste, which is derived from its terpenoids and sesquiterpene lactones.